AT&T stores are being told to send back initial shipments of the Nexus 6 due to a software bug that Motorola has identified, according to multiple sources. The bug renders a black screen and fails to connect to service when the device is powered on, essentially leaving the device useless. Only the initial batch of AT&T Nexus 6s were impacted and Motorola is currently working on shipments with corrected software. 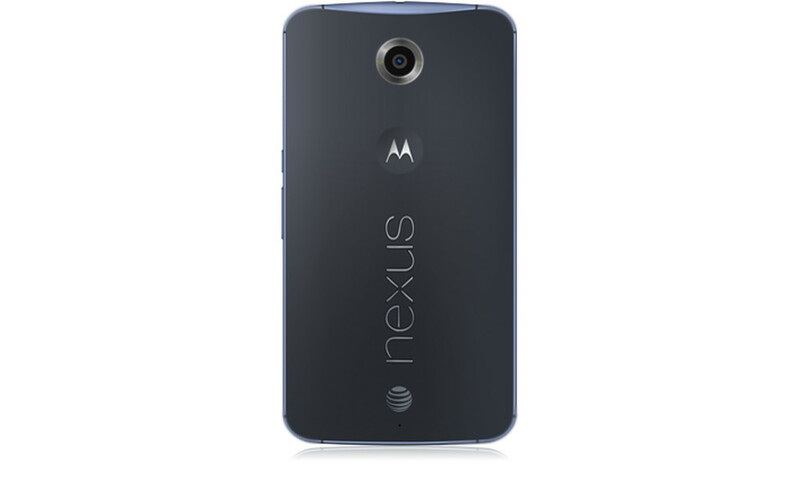 Unfortunately for customers, that means AT&T stores may not have Nexus 6 stock for a least a few days. As far as we know, this is only an issue with the AT&T units. If you have experienced this issue, you should probably take your phone in to have it replaced by AT&T. At this time, we have yet to hear from anyone who has experienced the issue, so it may not be all that widespread. 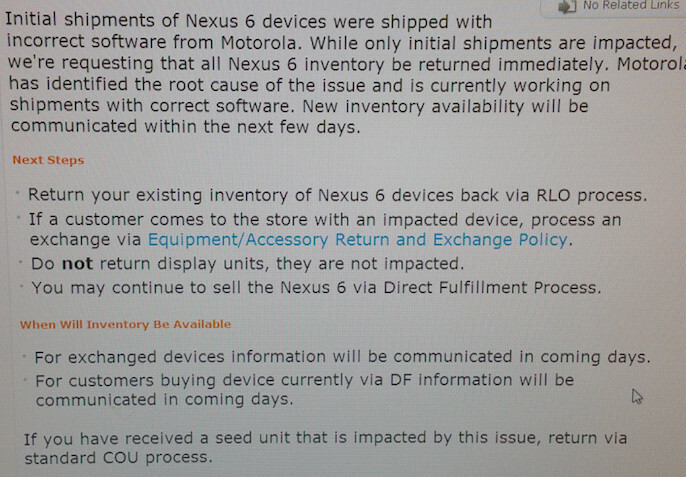 At this time, AT&T will still accept Direct Fulfillment orders, which is there method of ordering a Nexus 6 for you. Also, Best Buy is now selling the AT&T version of the Nexus 6, so you could always check there if an AT&T store is out. Update: Since many are asking, no, we do not believe this has anything to do with the Nexus 6 outside of the AT&T units. We are talking specifically about Nexus 6 units that were sent to AT&T, which would be the branded AT&T models with all of AT&T’s carrier additions.